There’s no denying that yoga is a popular tool for athletes and fitness enthusiasts looking to prevent injuries and improve their performance. Sports teams are now regularly employing yoga instructors as part of their coaching teams. British Heptathlete Jessica Ennis-Hill cited yoga as a crucial addition to her Olympic preparation regime while NBA star LeBron James famously practices regularly to avoid lower body flare ups. Former world number 1 squash player Laura Massaro has also cited yoga as an important part of her training regime. From muscle strain to tendonitis, yoga has been proven to help prevent a range of injuries that threaten an athlete’s performance. Although advancements in sports medicine and physical therapy has drastically shortened the time it takes to get an athlete back on their feet after an injury, the problem is that once the damage has been done it can still have lasting effects. Too many athletes have had to sit out on seasons or tournaments or, worse, been forced into retirement due to repetitive injuries. Injuries are a blight not limited to professionals, many individuals devoted to fitness and sports have had to give up on their passions because of the toll that they can take on the body. Any active person should be taking measures to reduce their risk of injury through exercise. Taking preventative measures against damage is a focus that athletes and their coaches worldwide are placing greater emphasis on, and it is something that you also can easily do. 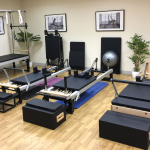 Not everyone has access to the most advanced physio facilities and therapists, but everyone has the capacity to invest time and energy into protecting their bodies before damage strikes. They owe it to themselves and their physical livelihood at any age. 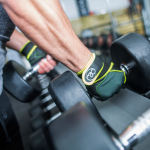 So how can you use it to aid your workouts? Yoga focuses on prevention, and can be used as a preventative measure against damage. A harsh fitness routine without adequate attention to priming the muscles for exercise will lead to fatigue and weakness, making the body injury prone. The human body is a marvellous thing, but it can break, and maintenance is required to keep it in optimal shape. As muscles strengthen they shorten and pull on connective tissues - making muscle fibres, ligaments, and tendons vulnerable. A body that is strong, supple, and balanced is one which is resistant to injury. Practising yoga utilizes almost all muscles in the body without impact, and teaches the practitioner to distribute efforts in a pose throughout all muscles. It incorporates strength and flexibility together in a way that no other exercise will replicate. This balance also extends to the mind, and your time on the mat will give you a whole body awareness that will help you become more adept at identifying any weaknesses and give you better understand how your body works as one. Mindfulness is a tool as vital as stamina in any discipline of exercise, and yoga improves both. The majority of injuries are not caused by one event alone but a build-up of repetitive stresses and ignored weaknesses. Yoga blends active and passive stretching. 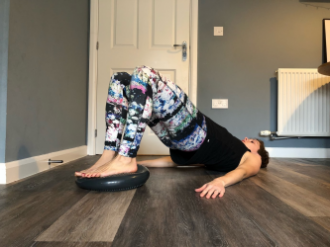 Active stretches create warmth and suppleness and passive stretches create length - the two together will over time improve a muscle’s ability to recover from stress by relieving tension and improving flexibility. No matter how strong a muscle is, if it is too tight then it is also vulnerable to tears in muscle fibres - yoga teaches the myriad muscle fibres to adapt to stress. 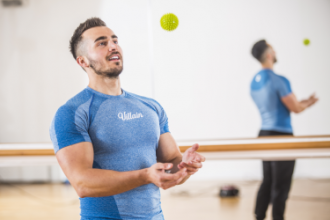 Repetitive strain can also result in chronic pain, this may start as an annoyance but it is usually the precursor to a bigger problem, more often than not caused by misalignment and poor form. 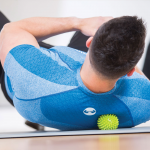 Lower back pain, hamstring tension, shoulder discomfort, and more, are all common complaints for those with active training regimes. In improving balance, yoga helps to balance out dominant and weaker sides. Although warm-ups and warm-downs are paramount for the body, this is not the time to add in a prolonged yoga session. Bookending training sessions with stretches that are too deep can often do more harm than good. Overstretching tight muscles before a workout will leave them prone to injury. Once they have undergone the stresses of a training session they are weak, and this also makes them more vulnerable to damage during a post-workout stretch. Committing to yoga sessions of at least half an hour, separate from training, is what will help prevent injury during exercise in the long run. Regularly taking to the mat has also long been a proven technique for reducing stress. Cortisol, the stress hormone, inhibits bone formation and reduces blood flow to many parts of the body - so that in times of high stress we can focus on the issue at hand. This is useful in a flight or fight situation, however if the mind operates with continuously high stress levels this reduces the micro reparations essential to rebuilding and improving anatomical health throughout the body. Put simply, if you are less stressed you are much better at recovering from a tough workout. Wondering how to start? Yoga studios around the country are offering classes specifically designed to help athletes:runners, cyclists, even bodybuilders, are finding sessions tailored to their needs. There are also many online platforms guaranteeing something to fill your niche. Invest now for your future fitness and you won’t regret it. Bio about the writer - Yvette is a highly qualified yoga teacher with decades’ worth of experience and she really does live and breathe the practice. As well as regularly teaching classes, she is also the Head Tutor for HFE, a leading yoga teacher training course provider, in the UK. She regularly travels the country helping to shape the next generation of yoga teachers.